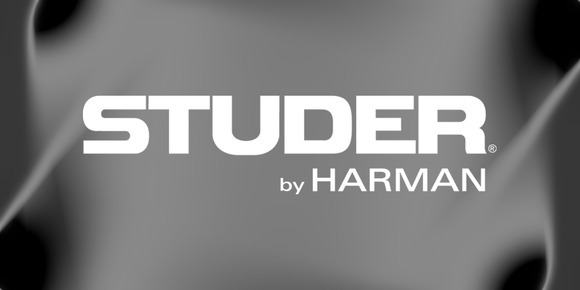 HARMAN'S Studer showed its commitment to integration of the Livewire AoIP standard at NAB with the first showing of the D21m interface card that may be used on Vista and OnAir console systems. Livewire is the broadcast networking system which utilizes Ethernet to provide an easy way to route and share audio and logic throughout the broadcast plant. Under the Livewire Limitless License (L3) introduced this year, Studer is licensed to build a Livewire interface into any or all of its products, allowing instant one-cable connection to Axia networks and products from more than 30 other Livewire hardware and software partners. "We decided to adopt the Livewire standard from Axia following consultation with many customers on our new product strategy," says Andy Trott, HARMAN's Vice President and General Manager of Mixers, Microphones and Headphones (Soundcraft, Studer and AKG). "Studer is embracing a very ‘open standards' philosophy as we launch more and more broadcast systems and this is the first of many new partnership initiatives that we will be announcing over the next 18 months to provide our customers with increasing flexibility." "Axia clients realize that the value of the network isn't the network itself—it's the variety of devices the network can connect to," says Axia President Michael "Catfish" Dosch. "The addition of Studer products to the already-impressive list of broadcast equipment that connects to Livewire underscores just how strongly broadcasters value standards-based networking." Other new products from Studer at NAB include the new Studer Vista 1 Compact mixing console, Vista Compact Remote bay, VISTA FX Lexicon engine, RTW TM7 Metering Option for Vista consoles, and integral EMBER control protocol for Vista systems.